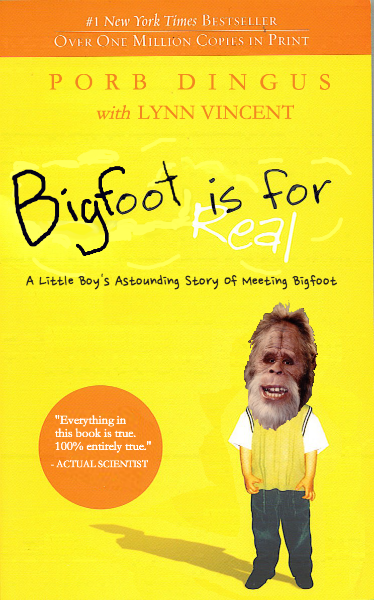 Bigfoot is for Real is the latest bestseller from acclaimed author Porb Dingus, a Nebraskan pastor who wrote the 2010 book Heaven is for Real, in which his 4 year old son, Flumbo Dingus, visited heaven during an emergency appendectomy. In Bigfoot, Flumbo undergoes another emergency procedure, and when he awakens, describes his meeting with the legendary Sasquatch – in stunning detail. “I almost died,” added Flumbo. Time for another mock draft! This just made my day! Thank you..